Genetic neuromuscular diseases are caused by defective expression of nuclear or mitochondrial genes. 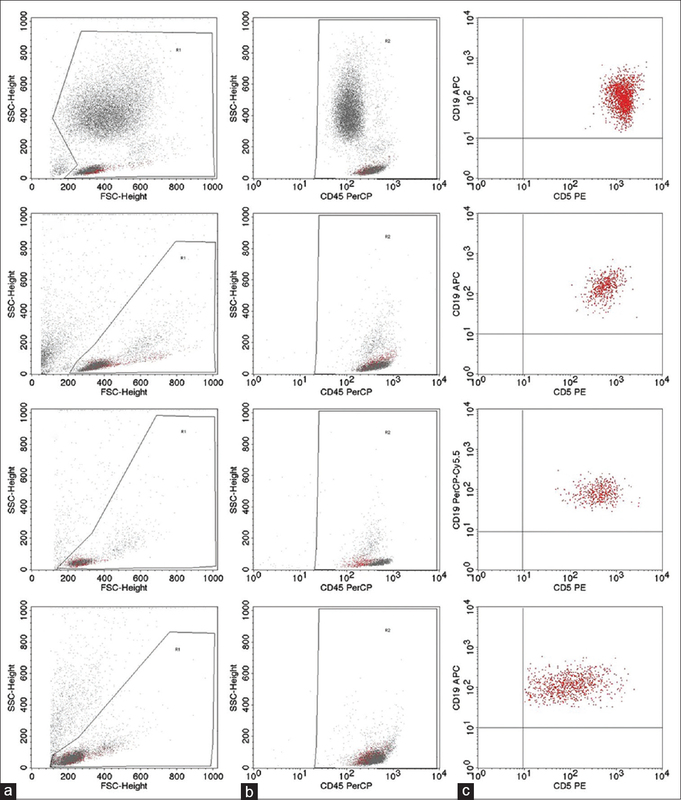 Mutant genes may reduce expression of wild-type proteins, and strategies to activate expression of the wild-type proteins might provide therapeutic benefits. Also, a toxic mutant protein may cause cell death, and strategies that reduce mutant gene expression may provide therapeutic benefit. Synthetic antisense oligonucleotide (ASO) can recognize cellular RNA and control gene expression. 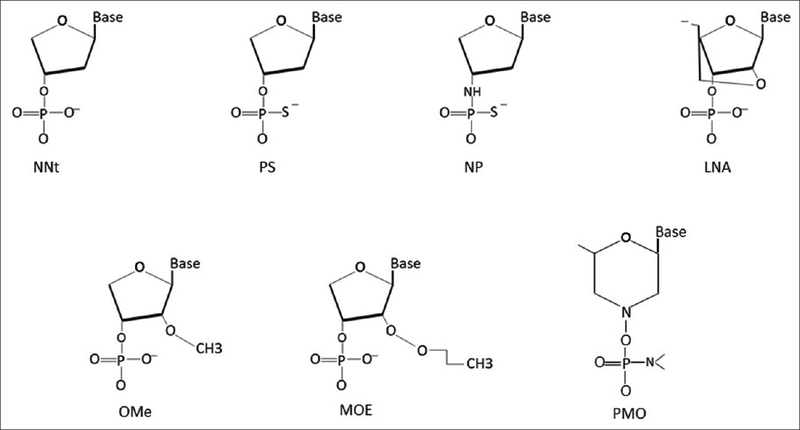 In recent years, advances in ASO chemistry, creation of designer ASO molecules to enhance their safety and target delivery, and scientific controlled clinical trials to ascertain their therapeutic safety and efficacy have led to an era of plausible application of ASO technology to treat currently incurable neuromuscular diseases. Over the past 1 year, for the first time, the United States Food and Drug Administration has approved two ASO therapies in genetic neuromuscular diseases. This overview summarizes the recent advances in ASO technology, evolution and use of synthetic ASOs as a therapeutic platform, and the mechanism of ASO action by exon-skipping in Duchenne muscular dystrophy and exon-inclusion in spinal muscular atrophy, with comments on their advantages and limitations. Neurology has a reputation, particularly as a complex “head-to-toe” discipline for undergraduate medical students. Neurophobia syndrome, a global phenomenon, fundamentally stems from pedagogical deficiencies during the undergraduate curriculum, the lack of vertical integration between basic neurosciences and clinical bedside neurology, the lack of clinical reasoning exercises, cognitive heuristics, and clinical problem-solving, errors in diagnostic competence, and hyposkilia. This ultimately results in poor clinical competence and proficiency in clinical neurology and causes attrition in nurturing a passion for learning the neurology discipline. This article explores plausible factors that contribute to the genesis of neurophobia and multifaceted strategies to nurture interest in neurosciences and provide possible solutions to demystify neurology education, especially the need for evidence-based educational interventions. Remodeling neurology education through effective pedagogical strategies and remedial measures, and using the Miller's pyramid, would provide a framework for assessing clinical competence in clinical bedside neurology. Technology-enhanced education and digital classrooms would undoubtedly stamp out neurophobia in medical students of the 21st century. 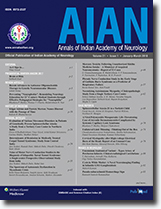 It will not frighten off another generation of nonneurologist physicians to empower them to hone expertise in order to tackle the increasing burden of neurological disorders in India. Furthermore, promoting neurophilia would facilitate the next generation of medical students in pursuing career options in neurology which would be quintessential not only in closing India's looming neurologist workforce gap but also in fostering interest in research imperatives in the next generation of medical students. 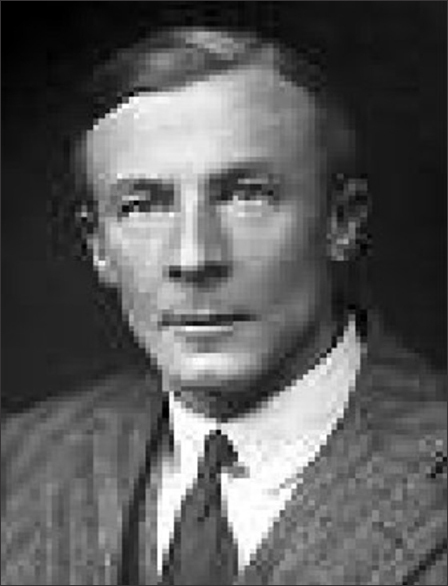 Edgar Douglas Adrian and Patrick Anthony Merton are two supreme neurophysiologists from England in the last century whose names are almost forgotten these days. Adrian's work on all-or-none phenomenon in nerve and muscle excitability ushered in a new era and Merton's servo theory of muscular movement and muscle fatigue added a new dimension to the understanding of stretch reflex and deep tendon reflexes. Both of them trained and worked at Trinity College, Cambridge and both were elected as Fellow of the Royal Society and Adrian in addition, was awarded the Nobel Prize in 1932 along with Charles Scott Sherrington. Background: Movement disorders are one of the prominent nonataxic symptoms in patients of spinocerebellar ataxia (SCA). The type of movement disorder may provide clinical clue to the type of SCA. Objective: The objective of this study is to evaluate various movement disorders in patients of genetically proven SCAs and to establish a probable clinico-genetic correlation. Methods: Ninety-Five patients of genetically proven SCAs were assessed for the presence of various movement disorders. Results: Patients with SCA (75.8% males) with at least one movement disorder contributed 43.16%. Age for onset of movement disorder was 43.39 ± 13.43 years. SCA-12 (38.95%) was the most common subtype. Among the patients with at least one movement disorder, action tremor of hands contributed majority (90.2%). Dystonia and parkinsonism were present in 17.07% and 12.2% of patients (with movement disorder), respectively. Action tremor of hands was present in 34 patients with SCA-12 (91.89%), and 20 patients (54.05%) had onset of hand tremor preceding the onset of ataxia. Majority of patients with SCA-12 (81%) were of the same ethnic origin belonging to Agrawal community. Patients with movement disorder had a later onset (45 ± 13.88 years) of ataxic symptoms compared to those without a movement disorder (32.8 ± 11.92) (P = <0.0005). There was no significant association between severity of ataxia and presence of movement disorder. Conclusion: Movement disorders are present in about 43% of patients with SCA and can precede or succeed the onset of ataxia. Tremor onset SCA predicted SCA-12, especially in Agrawal community. Background: The factors associated with the spontaneous remission (SR) of symptoms in carpal tunnel syndrome (CTS) are not well known. Objectives: To look for determinants of SR in medically treated, electrophysiologically proven patients of CTS. 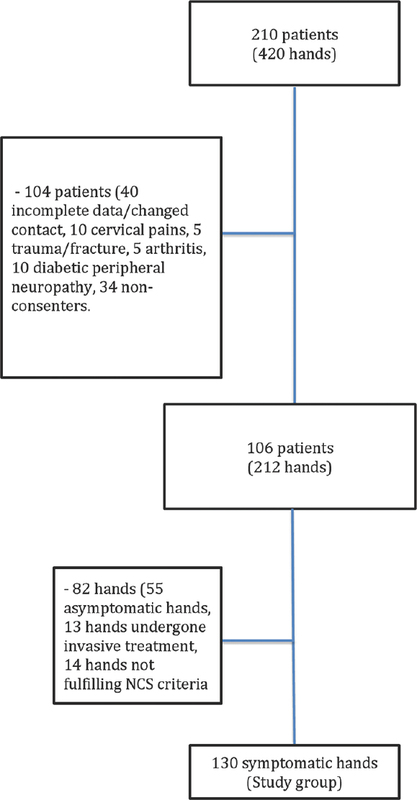 Methods: We revisited the medical records and nerve conduction study data of 130 hands with CTS and divided them into two groups as per the absence or persistence of the symptoms when contacted after a median time lapse of 3 years following the diagnosis. Results: SR occurred in 46.1% of the hands. Higher odds of SR were linked with female gender, symptoms restriction to lateral fingers, symptom duration <10 months, mildly delayed median motor and sensory distal latencies, and median sensory amplitude >20 μV. We developed a seven-point scale, on which a score of ≥4 had a strong association (odds ratio 4.31) with SR. Discussion and Conclusion: No single risk factor, standalone, can predict SR in patients with CTS, which could lead to an invasive treatment (Surgery or local injection) to them. We propose that patients scoring ≥4 on our 7 point scale should be treated medically for the initial 10 months after the symptom onset. Background: Nerve conduction studies are considered to be the gold standard for diagnosing secondary tarsal tunnel syndrome (s TTS), but their utility in the diagnosis of idiopathic tarsal tunnel syndrome (i TTS) is largely unknown. Objective: We sought to investigate the value of motor nerve conductions studies (MNCS) in the diagnosis of clinically suspected i TTS. Materials and Methods: Twenty-six (52 limbs) adult patients of clinically suspected i TTS were subjected to motor nerve conductions of posterior tibial nerve, and its branches and motor conduction parameters were compared with those of 45 healthy controls. Results: Symptoms were bilateral in 70% (P = 0.02), with heel pain in 95% of symptomatic limbs. MNCS was abnormal in 32 (80%) of symptomatic limbs and 8 (66.6%) of asymptomatic limbs (P = 0.004). Out of electrophysiologically abnormal nerves (n = 67), the pathological process could be identified in all the nerves with abnormal MNCS (P = 0.02). Probable demyelination was seen in 58.2% of the electrophysiologically abnormal nerves. Discussion: The present study shows that i TTS are gender and Body Mass Index neutral with bilateral symptoms being common. Tinel's sign was inconsistent. Heel pain did not correlate with abnormal inferior calcaneal nerve conductions. 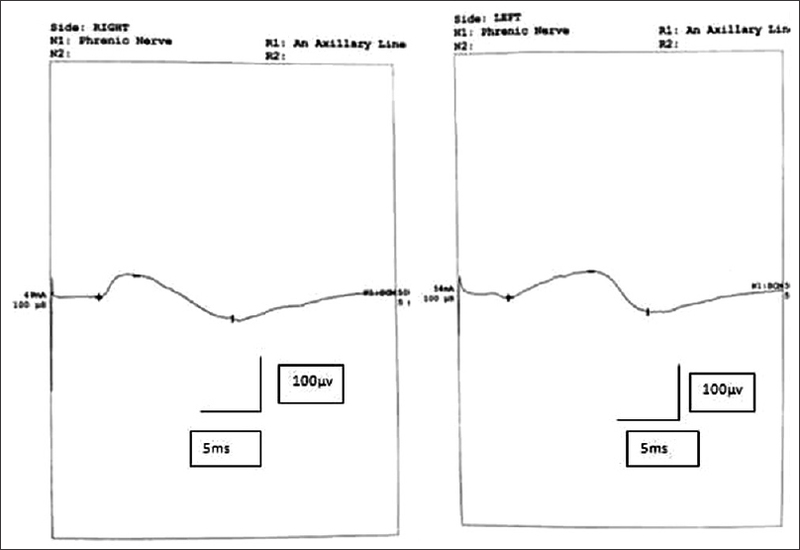 Motor nerve conduction study was abnormal in a significant number of symptomatic limbs. 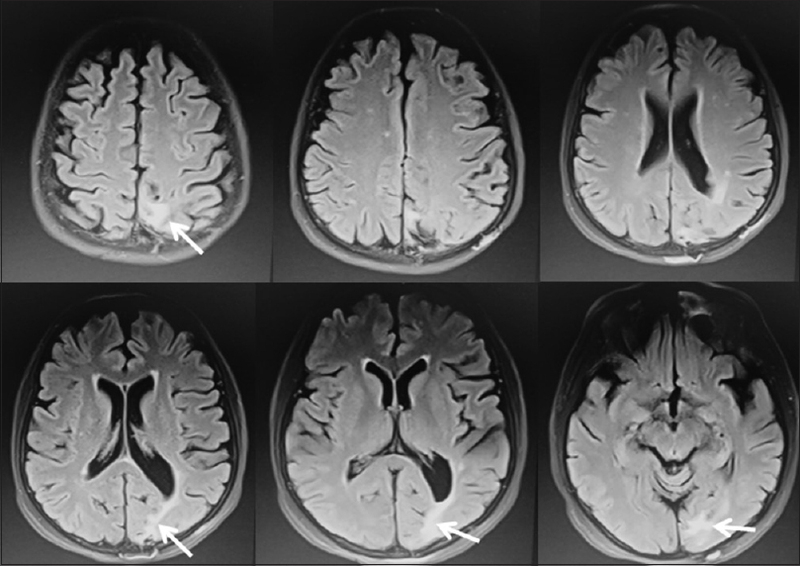 “Probable demyelination” was more frequent in symptomatic limbs. Conclusion: MNCS is significantly abnormal in symptomatic limbs of subjects with i TTS. Demyelination is slightly more common than axonopathy in i TTS. With a sensitivity of 80% and specificity of 33.3%, MNCS seems to be useful as a screening tool in clinically suspected i TTS. This study is Level II: Lesser quality randomized controlled trial or prospective comparative study. Background: Autoimmune autonomic dysfunction is described in Myasthenia Gravis. In myasthenic crisis, the spectrum of autonomic dysfunction is hitherto uncharacterized. Objective: The objective of this study is to describe the spectrum of autonomic dysfunction in myasthenic crises using the composite autonomic symptom scale 31 (COMPASS 31) autonomic symptom questionnaire and power spectral analysis of heart rate variability (HRV), which is a simple way of estimating general autonomic dysfunction. Methods: Adult patients with myasthenic crisis from January 1, 2014 to March 15, 2015, were prospectively included in this study. The COMPASS 31 questionnaire for symptoms of autonomic dysfunction and power spectral analysis of HRV were assessed. These were compared with the patient's demographic and clinical parameters and with previous literature. IRB approval was obtained. Results: Sixteen patients were included (M:F 3:1). 15/16 patents (93%) had autonomic dysfunction on COMPASS 31 questionnaire. The domains of involvement were gastrointestinal (80%), orthostatic (67.7%), pupillomotor (67.7%); sudomotor (33.3%), and vasomotor (13.3%). Parasympathetic dysfunction predominance was suggested by the symptom profile. HRV analysis showed a low frequency (LF) spectral shift suggesting slowed parasympathetic responsiveness (LF normalized unit (nu): high frequency [HF] nu mean 8.35, standard deviation ± 5.4, 95% confidence interval 2.2–12.5), which significantly exceeded the mean LF nu: HF nu ratios of the majority of previously reported noncrises myasthenic populations. Conclusions: Myasthenic crisis has autonomic dysfunction involving multiple organ systems. Increased latency of parasympathetic reflexes is suggested. A comprehensive management protocol addressing different autonomic domains is required for holistic patient care. Context: Mercury is used extensively in the preparation of Siddha medicines, after purification. In this study, we present 32 patients of mercury toxicity following unauthorized Siddha medicine intake who mimicked neuromyotonia clinically. We analyzed the clinical features of these patients, the role of autoimmunity in etiopathology, and compared it with acquired neuromyotonia. Subjects and Methods: This is a retrospective study to analyze inpatients in a tertiary care center, admitted with mercury toxicity following Siddha medicine intake from August 2012 to October 2016. We analyzed the clinical features, laboratory data including mercury, arsenic and lead levels in blood, and serum voltage-gated potassium channels (VGKC)-CASPR2 Ab in selected patients. Results: Thirty-two patients who had high blood mercury levels following Siddha medicine intake were included in the study. All patients (100%) had severe intractable neuropathic pain predominantly involving lower limbs. Twenty-six (81.25%) patients had fasciculations and myokymia. Fifteen patients (46.86%) had autonomic dysfunction (postural hypotension and resting tachycardia). Nine (28.12%) patients had encephalopathic features such as dullness, apathy, drowsiness, or delirium. Anti-VGKC Ab was positive in 12 patients with myokymia. All the patients in the study consumed Siddha medicines obtained from unauthorized dealers. Conclusions: Mercury toxicity following Siddha medicine intake closely mimics acquired neuromyotonia; severe intolerable neuropathic pain is the hallmark feature; Positive VGKC-CASPR2 antibody in some patients must be due to triggered autoimmunity secondary to mercury toxicity due to Siddha medicine intake. The government should establish licensing system to prevent distribution of unauthorized Siddha medicines. Background: Guillain-Barré syndrome (GBS) has unpredictable clinical course with severe complication of respiratory failure. Objective: To identify clinical profiles and electrophysiological study particularly non-invasive Phrenic nerve conduction study in patients of early GBS to predict respiratory failure. Methods: 64 adult (age≥18yrs) patients of early GBS (onset ≤ 14 days) during the study period from January 2014 to October 2015 were evaluated by clinical profiles of age, gender, antecedent infection, time to peak disability, single breath counts, cranial nerve involvement, autonomic dysfunction and non-invasive Phrenic nerve conduction study. Patients with predisposition factors of polyneuropathy like diabetes mellitus, hypothyroidism, vitamin deficiency, renal failure were excluded. Results: Among 64 patients abnormal phrenic nerve conduction study was seen in 65.62% cases (42/64) and 45.23% (19/42) of them developed respiratory failure. Phrenic nerve sum latency, amplitude, duration and area were abnormal in those who developed respiratory failure and they had sum of phrenic nerve latency >28 msec, sum of CMAP amplitude <300 μV, sum of CMAP duration >50 msec and sum of area < 4 mVmS. None with normal phrenic nerve study developed respiratory failure. It was found that age, gender, preceding infection, autonomic involvement and types of GB syndrome had no influence on development of respiratory failure (p>0.05). Rapid disease progression to peak disability, more severe disease, shorter single breath counts and cranial nerve involvement were seen more often in patients with respiratory failure. Conclusion: Abnormal Phrenic nerve conduction study in the early Guillain-Barré syndrome might be of great value independently in predicting impending respiratory failure. 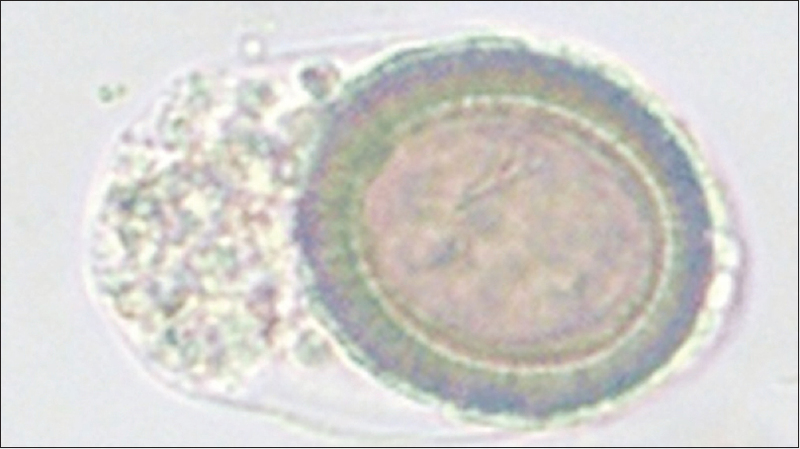 Background: Idiopathic inflammatory myopathies (IIMs) are a group of chronic, autoimmune disorders which include a new entity, necrotizing autoimmune myopathy (NAM). NAM lacks inflammation and presents with markedly elevated creatinine phosphokinase (CPK) levels. It is associated with connective tissue diseases (CTDs), statin use, malignancies, and most cases are idiopathic. Objectives: The objectives of this study are to describe the clinicopathologic features in muscle biopsy-proven cases of NAM. To emphasize the role of laboratory parameters such as CPK levels and myositis profile in the diagnosis of NAM. Materials and Methods: This is a retrospective study including 15 patients of NAM diagnosed on muscle biopsy over a period of 2 years. The slides of the biopsies were reviewed, and clinical data, electromyography findings, and CPK levels were obtained. Myositis profile was done. Results: Necrotizing myopathy accounted for 13.63% (15 cases) of total inflammatory myopathies (110 cases) in the study. These were grouped into CTD-associated NAM, statin-associated NAM, paraneoplastic NAM and idiopathic NAM which was the common type. All cases presented with progressive proximal muscle weakness and had markedly elevated CPK levels. Anti-3-hydroxy-3-methyl-glutaryl-coenzyme A reductase and antisignal recognition particle antibodies were seen to be positive in six patients. 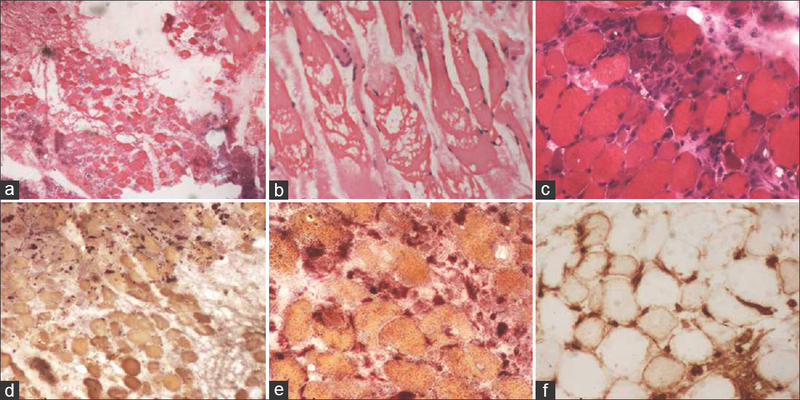 Muscle biopsies showed predominant fiber necrosis with significant fiber degeneration and regeneration in the absence of inflammation. All patients received immunotherapy with significant improvement was seen in six patients with two mortalities. 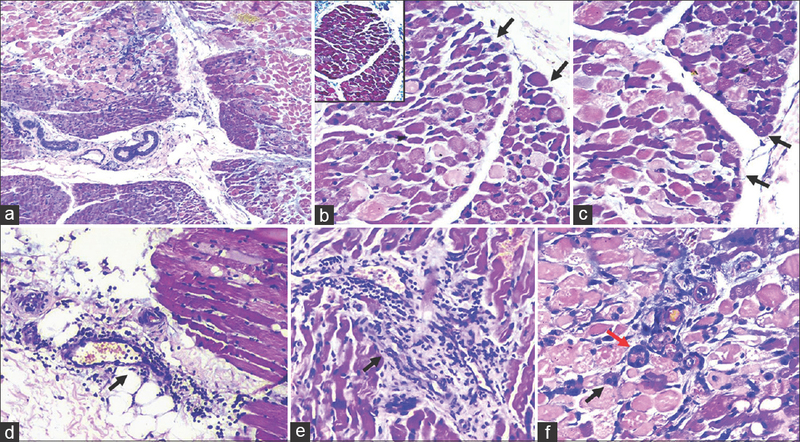 Conclusion: Necrotizing myopathy is a new addition to the spectrum of IIM. Clinicopathologic correlation is important for appropriate diagnosis. It is found to be refractory to corticosteroids monotherapy. The course of illness is not uniform, and in some patients, there can be rapid worsening with mortality. Hereditary cerebellar ataxias are genetically heterogeneous disorders. 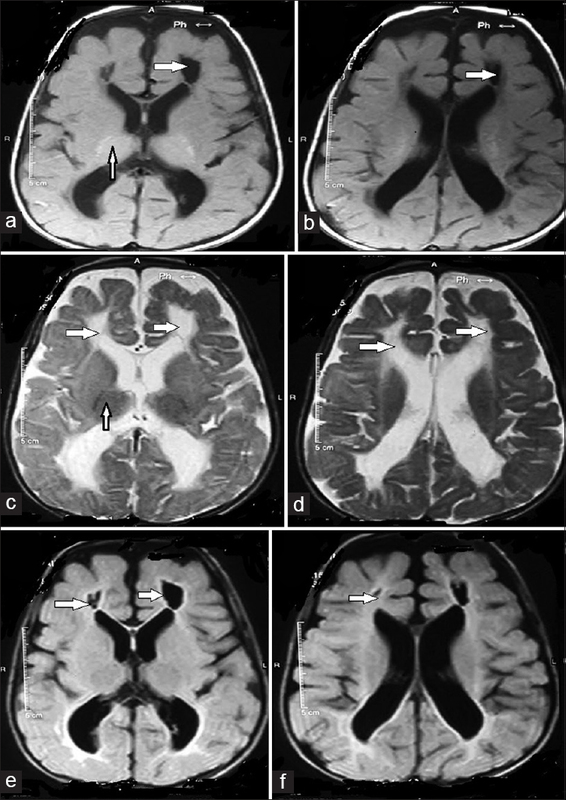 Autosomal recessive spinocerebellar ataxia-21 (SCAR21) is a neurologic disorder characterized by the onset of cerebellar ataxia, recurrent episodes of liver failure, peripheral neuropathy, and learning disabilities. 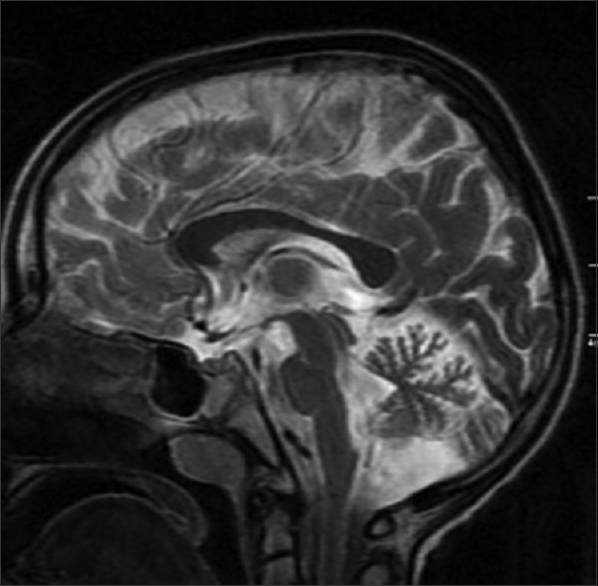 Herein, we reported a case presented with gait and balance problems, swallowing difficulties, mild delayed motor development, and mild learning disability with SCAR21 that confirmed by mutation analysis in a Turkish child. To the best of our knowledge, this is the first case of SCAR21 from Turkey. 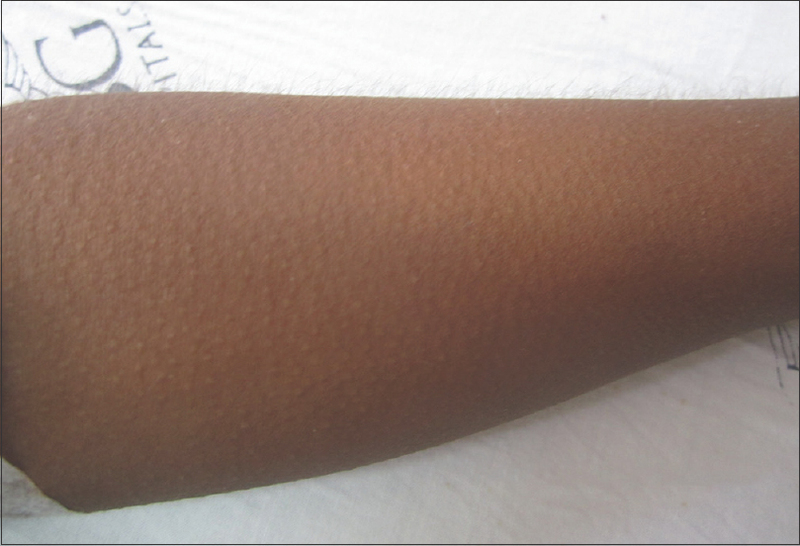 This is a case report of an 8-year-old boy who developed an atypical, rare subphenotype of autoimmune inflammatory acute juvenile dermatomyositis (JDM), initially masquerading as viral polymyositis (PM)-like presentation, that was complicated by a hitherto unreported fulminant, life-threatening pediatric systemic capillary leak syndrome (SCLS). We highlight the close differential between viral PM and JDM, the baffling clinical syndromic constellation of hypotension with hemoconcentration – a “shock”-like syndrome, hypoalbuminemia without albuminuria, and generalized edema with the atypical JDM presentation, and stress crucial need to implement early aggressive, multipronged immunomodulatory treatment along with intensive fluid resuscitation which saved the life, this patient from a stormy, and turbulent 4-week clinical illness. This is the first published case description in the current literature of the association of an aggressive subphenotype of JDM and life-threatening pediatric SCLS. This report opens the Pandora's Box to explore the genetic and pathomechanisms of both disorders. We report an unusual presentation in a 9-year-old girl with unilateral circumferential thinning of the entire right upper limb without any other neurological deficit, with normal nerve conduction and electromyography initially thought of as a neurodegenerative disorder based on clinical presentation. Magnetic resonance imaging of the upper limb showed partial lipoatrophy with normal glucose metabolism and lipid profile and negativity for HIV and autoimmune disease (panniculitis) with no family history of similar disorder. Remember to think out of box before labeling neurodegenerative disease. High-voltage electrical injuries are uncommonly reported and may predispose to both immediate and delayed neurologic complications. 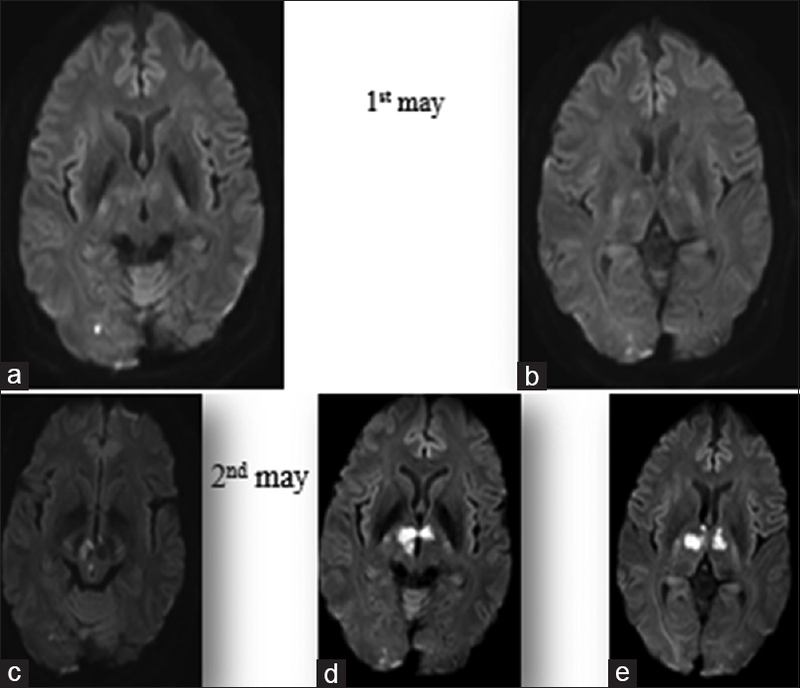 We present a case of 27-year-old male who experienced a high-voltage electrical burn of the head resulting in quadriparesis. High-voltage electrocution injuries are a serious problem with potential for immediate, delayed, and long-term neurologic sequelae. The existing literature regarding effective treatment of neurologic complications is limited. Multidisciplinary management and long-term follow up are required.